The Cambodian police indicated on Tuesday that two Uighur babies named on the UNHCR list are currently being hunted. Maymuna Abdukadir, a baby boy who was born on 28 June 2009, measuring 60 cm long and weighting 8 kg, and Bilal Abdukadir, a baby boy who was born on 14 June 2009, measuring 80 cm long and weighting 15 kg, were included on the UNHCR list of the 22 Uighur minorities. The babies are suspected of being spirited out by UNHCR agents. The Uighur ethnic minorities from Western China arrived in Cambodia by crossing North Vietnam, and they entered Cambodia through the Bavet international border gate. The Uighur refugees were forced out of their various hiding places under gunpoint by Cambodian authority on Friday. One day later, i.e. on Saturday, 20 of the 22 asylum seekers, including a 6-month-pregnant woman, were put into a plane stationed in a military field under the cover of the night [and sent to China]. Nevertheless, the government action received severe criticism from regional human rights organizations, as well as from the UN and the US. Gordon Duguid, acting spokesman of the US State Department, warned that this incident will affect the relationships between Cambodia and the US, and it will also affect Cambodia’s international standing. In spite of all these criticisms, the Cambodian government led by the former Khmer Rouge cadres does not seem to be much concerned about these criticisms at all. It should be reminded that under the Khmer Rouge leadership whereby Chairman Mao’s strategy of “digging out weeds, they must be completed uprooted,” not even newborn babies were ever spared. While we pray God to protect these Uighur babies, there is little hope that the lives of the Uighurs who were deported to communist China will be spared. Do you know that Hun Sen and his clique were once refugees? In fact, he said that thank goodness he and his group were not deported back to Pol Pot's Cambodia, otherwise he would be wiped out and gone already. Remember, Hun Sen always says that he asks others to have a special understanding with him in serious cases, but how come in this case he did not ask China to understand him? KHMER GOVERNMENT AND CHINA SOMEHOW I CAN SAY THEY NOT DIFFERENT FROM CRUEL AND BARBARIC BEASTS!!! THEY MUST BE BORN FROM HELL!!! I believe European and US should deal with Hun Sen Regime. They will deal with hun sen! WAR and small country with oil field is un-AVOID-ABLE. this planet, oil will run out. hun sen keeping sticking to hanoi. The sad part is the European investors don't care, they invest in Cambodia and they want their money back. About the US, is going to be hard to do anything to Hun Sen, because the US's foreign policies are unpredictable. Who can predict that after the bloodshed war in Vietnam, these two enemies became friends. Since Bill Clinton visited Vietnam, the US reached their arms to work with Vietnam just to get their spaces in SEA before China, while the Communist China has its citizen influence in all most governmnet in ASEAN, and surprisingly China is also working with Vietnam. Now both US and China are working with Vietnam. They were enemies one day after cut each other throats, then they became friends the next day, just for their own interest only. These victims are not in the US and European book, and if they speak up is just to make themselves to look good, but they won't do anything about it. You guys should stop barking here. You should get out on the street and do some thing now for the kids now before too late. 5 Million Vietnamese illegally lives in Cambodia, Hun Sen blind eye don't even do anything, but 22 Uighurs and even babies, Hun Sen has no heart to let them live. Hun Sen is the King of Dictatorship regime. Eneough is enough. This is his last chance for Regime. Shall we vote him again in 2013? With names as such,those two offspring should be send to live with either TALIBAN or HAMAS or HEZBULLAH. Did you vote for Hun Sen in 2008 ? CHINA and the USA do not know how to rescue Cambodia from Vietnamese jaws? 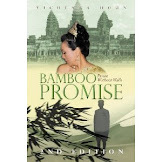 In relation to Cambodia, CHINA is Zero achievement, every time Chinese start to move their men or policies to influence Cambodia, the Vietcong/NVA punch in the Chinese nose first all the times. Now the ECCC in Cambodia is indirectly control by Vietnamese government through their puppet Mr. Hun Sen/CPP government. The ECCC is charging former CHINA clients Mr. Khieu Samphan, Mr. Nuon Chea, Mr. Ieng Sary and his wife Mrs. Ieng Thirith as GENOCIDE crimes against the ethnic Vietnamese and the Cham in Cambodia. What is CHINA GOING TO DO ABOUT THAT? BESIDE BRING MORE MONEY TO BUY Mr. Hun Sen/CPP government and perhaps to robe the whole of Cambodia through land development, ripping for Vietnam to take over again and again CHINA can not do anything to save Cambodia from Vietnam colonization. 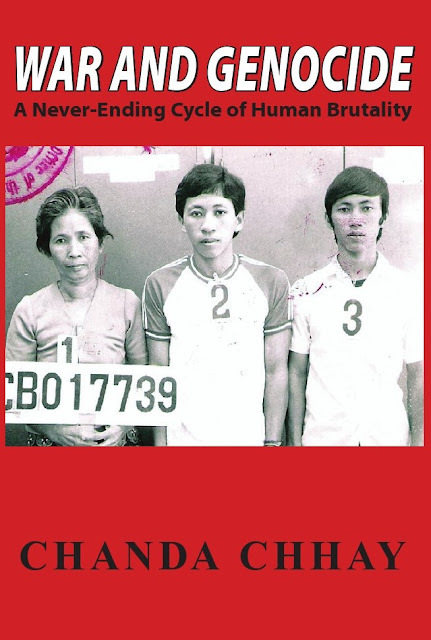 CHINA WAS THE MAIN SUPPORTER OF KHMER ROUGE who is their clients now charging as genocide. Whereas the Vietnamese clients such as Hun Sen, Chea Sim, Heng Samrin, Hor Nam Hoang, Keat Chhon, Sam Kar, Sar Kheng, Men Sam An and much more who also GENOCIDED millions of Khmers are laughing at CHINA, USA, UN, EU, ECCC all the way to their own individual’s banks. At this stage USA do not want to save Cambodia from Vietnam swallowing, so what CHINA must do is to wake up quickly by allying themselves with USA the same way as Mr. Deng Xao Ping did with Mr. Ronald Reagan in 1980’s and rearmed the ex- Khmer Rouge soldiers again to save Cambodia from extinction. 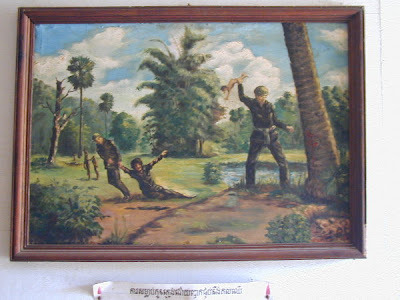 The condition must be attached onto those ex-Khmer Rouge troops, that those troops must be control and lead by ex-anti Vietnamese guerrilla’s leaders similar to the recipient of American Silver Cross Medal, Major Sergeant SARUN SAR of the American Special Force and many more of that types are waiting around the world and inside Cambodia to bring Vietnam and Hun Sen/CPP government to respect the 23rd October 1991 Paris Peace Agreement once more time. Vietnamese government through their puppet HUN SEN had cheated the CHINESE GOVERNMENT, the UNTAC, the USA administrative and the whole Khmer Rouge organization by urging the Khmer Rouge to lay down their arm before 1993 and now control them like slave and master. Now a day what CHINA hoping is to buy out HUN SEN and the whole CPP government with their money, so CHINA can have influence in Cambodia. Vietnamese will not let HUN SEN go off their hooks so easily like CHINA wanted, if HUN SEN do want to escape from Vietnamese jaws, he will receive the same fate as his in-law former police crook-murderer Gen. HOK LUNDY. Vietnam only allow Hun Sen as a bait to attract investment funds from China, so Vietnam who is Hun Sen master, can spare their own fund to buy 6 Sub-Marines and 12 Russian Airplanes to defeat CHINA once more time like in February 1979 from future China attack. Vietnam at this moment will never let Chinese put a hand on Cambodia cake again, for inside Cambodia they had 100,000 NVA plus 5 million of Vietnamese illegal immigrants, and for augment sake who know how many Vietnamese militia in disguise among those 5 million illegal Vietnamese in Cambodia? Therefore, the USA and the CHINA were manipulated by Vietnamese government again and again until they took all the South East Asian markets. Recently they took Laos, Cambodia and perhaps Thailand soon when the opportunity arises. Vietnam smartly took Laos, Cambodia from CHINA and from the USA, and CHINA never dares to challenge Vietnam for CHINA and USA are always incapable to defeat Vietnamese hypocrisy in war or in politics, so CHINA and USA have no choice, but to unite like in 1980’s to stop Vietnam from swallowing Cambodia and to stop Vietnam expansionist strategy toward Thailand too. CHINA CAN NOT BUY VIETNAMESE OR HUN SEN/CPP GOVERNMENT OUTRIGHT. CHINA and USA ARE THE LOOSERS TO VIETNAMESE COMMUNIST’S GOVERNMENT WITHOUT KNOWING IT, WHAT IS A SHAME!!! Mr. Hun Sen says there are 100,000 North Vietnamese Communist arm forces still occupied Cambodia everyday and they stay on top of his head. Eyes witness said there are 4 to 5 million illegal Vietnamese communists also occupied Cambodia to give illegal vote to Mr. Hun Sen and his CPP illegitimate government. (A)***** Can the United States of America rescue Cambodia from Vietnamese communist government through their puppet Mr. Hun Sen/CPP government swallowing Cambodia now??? Your past policy in helping Cambodia on Human Right, Democracy, Health and education were so great, but they will not stop Vietnamese government from swallowing Khmer country in the near future. Cambodia always wanted to be USA ally in her own independent right, not through the satellite of Hanoi government. (B)***** Can the United States of America stay in Cambodia for ever by not desert Cambodia and left innocent Khmer as the most trust US ally to be slaughtered by Vietcong/NVA/Khmer Rouge soldiers (prince Sirimatak Sisowath last letter in March 1975 to then US Ambassador John Anthony Dean) like the USA did on the 12th of April 1975??? (C)***** Can the United States of America rescue Cambodia from the dictator Mr. Hun Sen the same way as America did rescue Iraqi people from the dictator Mr. Saddam Hussein??? (D)***** Can the United States of America do it now either by law or by force, before the Hanoi government swallowing Khmer people and Khmer land through it puppet Mr. Hun Sen/CPP government completely soon. President Obama, by helping all Khmer inside Cambodia to stand up strong and tall against the dictatorship and corruption of Mr. Hun Sen and the Cambodian People Party (CPP) like Ambassador Rodley did in the Cambodian Olympic Stadium this year, US may also soon help rescue the whole of Cambodia from the occupation of the 100,000 disguised Communist Vietnamese Army + their advisers + 4 to 5 millions illegal Vietnamese immigrants who have not left Cambodia according to the 23rd October 1991 Paris Peace Accord yet!!! In the East we have got colonized by Hanoi, whereas in the West we have the threat from the Thai government and her powerful Arm Forces everyday since July 2008. 1- Prevent the Royal Thai Arm forces from burning Khmer civilians alive again. 2- Prevent the Royal Thai Arm forces from invading Cambodia and killing all the former Khmer Rouge soldiers and their teenage sons on Hanoi and Mr. Hun Sen government behalf. 3- Prevent Mr. Hun Sen government from signing any new contracts with his master Hanoi in bringing 100,000 or more Bodoi troops to fight with the Royal Thai Arm forces from Inside Khmer territory. Although, previously there were 100,000 of NVA + 4 to 5 millions of illegal Vietnamese immigrant inside Cambodia already, but the 25 years troop intervention (invasion) contract between Hanoi government and the Royal Cambodian Government in the past have finished many years ago. May almighty God Jesus Christ bless America and little innocent Cambodia. May almighty God Jesus Christ rescue Cambodia from Vietnam swallowing and from the Royal Thai Arm forces invasion. Merry Christmas and Happy New Year to all Americans and to all Cambodians. We thought we can come to KI to voice and discuss with our Khmers about the future of our motherland, Cambodia. But all we read many are trolls, and Kuken Monorom is an old troll, he at least 55 years old or up 70 years old. How can we discuss if we have only old men copied and pasted shitting all over the place? Now we know why Khmers cannot work together, because Ta Kulen Monorom keep shitting so we have no choice but to get out.